Digestion is so much more than just a simple tube that filters our food and feeds our bodies. Check out how digestion works and how to improve digestive health. From this list, the intestine, both small and large, and sometimes the stomach are collectively known as "guts" and "the bowel" or "bowels". These organs are hollow and contain a lining known as mucosa. In the mouth, stomach and small intestine, tiny glands in the mucosa make juices which help to digest (break down) the food we eat. Anything we consume is helped along its way through the digestive tract by a layer of smooth muscle. The digestive tract is aided by the liver and the pancreas - these two "solid" organs are responsible for producing the digestive juices which work in the intestine. The gallbladder is basically the store for the juices made by the liver. It's responsible for keeping them safe and dishing them out to the intestine when required. All these organs as well as some of the nervous and circulatory systems make up what we know as the digestive system. The gut is an incredibly complex living system and the largest immune organ in the human body. Aside from its primary function of food digestion and waste filtering, it provides a "microbial and immunological barrier" that essentially guards our bodies from external attack by nasties like bugs and viruses. It acts as a support for our immune system. But the gut can't do this on its own. It has a vast army of microscopic soldiers to help wage its war against disease, infection and illness - the so-called "good bacteria", which live in our gut. This army is actually called Gut Flora. Your gut contains more bacteria (gut flora) than there are people on earth. In fact, there's more bacteria cells on our bodies than there are human cells - technically we're more bacteria than human! Normally the number of beneficial and friendly bacteria in the gut vastly outnumber the bad bacteria and that keeps us healthy. However, it's a delicate balance and if circumstances change, bad, potentially pathogenic, bacteria can flourish causing gut infections and eventually wider health issues. Pathogenic (bad) bacteria can leave you bloated and suffering from stomach cramps. Their prevalence is often marked by a change in the consistency and smell of your bowel movements (poo) as they're responsible for the production of toxic and putrefactive substances. Yuck! Often these symptoms are mistaken for food poisoning or ‘a stomach bug’. When the beneficial bacteria numbers start going down, the immune system is compromised. This can lead to diarrhoea and reoccurring bouts of gastroenteritis. Those most at risk are children, whose immune system is just developing and older people whose immune system is in decline due to the ageing process. If left unchecked the wrong balance of bacteria in the gut can even be a contributory factor to chronic bowel disease. Good, beneficial bacteria are often destroyed along with harmful bacteria when we take antibiotics, this can affect the balance of gut flora and in turn affect our immune systems and digestive health. Introducing bad bacteria to the gut through gone off food or infected food stuffs is another way to upset the balance. Usually this leads to food poisoning but the result either way is a higher amount of bad bacteria. Even eating lots of refined sugar and drinking loads of coffee and alcohol will result in bad bowels if done to excess. Not getting enough fibre is another culprit as constipation allows bad bacteria to loiter for longer. You can sometimes feel the effects of a negative balance in your gut through bloating - probiotics and prebiotics are often able to lessen these effects. There are a number of ways to improve your digestive health and, in doing so, boost your immune system. A well balanced diet and healthy lifestyle are the foundation to keeping up levels of friendly bacteria. Such as Actimel and Yakult. These contain live bacteria which 'top up' the good bacteria in your gut, like "reinforcements". One of the most effective ways to boost levels of good bacteria in the gut, says Dr Sarah Schenker, registered dietician and nutritionist. According to Schenker, there are many different food products and supplements available but an effective probiotic product should contain large numbers of live bacteria that already occur naturally in the gut. The different strains of friendly bacteria found in these products, such as Lactobacillus casei, the probiotic bacteria found in Actimel, are specially selected for their ability to survive the journey through the upper gut into the colon where they can make a significant difference to the gut population of bacteria. This is why it’s important to choose a brand which can back their claims with proven research. Prebiotics, such as Bimuno, are different to probiotics. They aren't "reinforcements" of good bacteria, they're "supplies" that help your existing bacteria to thrive and multiply by themselves. Prebiotics, unlike probiotics, are not affected by digestion and stomach acid so they reach the gut in the same condition as when they enter the body. This allows good bacteria to feast on the prebiotic, grow and gain in numbers to better fight the bad bacteria off and support the immune system. Yoghurts and other diary products such as Activia which work on the same principle as probiotic drinks but contain different types of "probiotic" enzymes. Though they can't hurt, there's not much in the way of independent scientific research to suggest these products have a tangible, positive effect on digestive health. Names like Bifidus Actiregularis, Bifidus Regularis, Bifidus Digestivum, Bifidobacterium Lacti, Digestivum Essensis, L. Casei Imunitass, L. Casei Defensis and Lactobacillus casei Shirota all sound very scientific and credible. 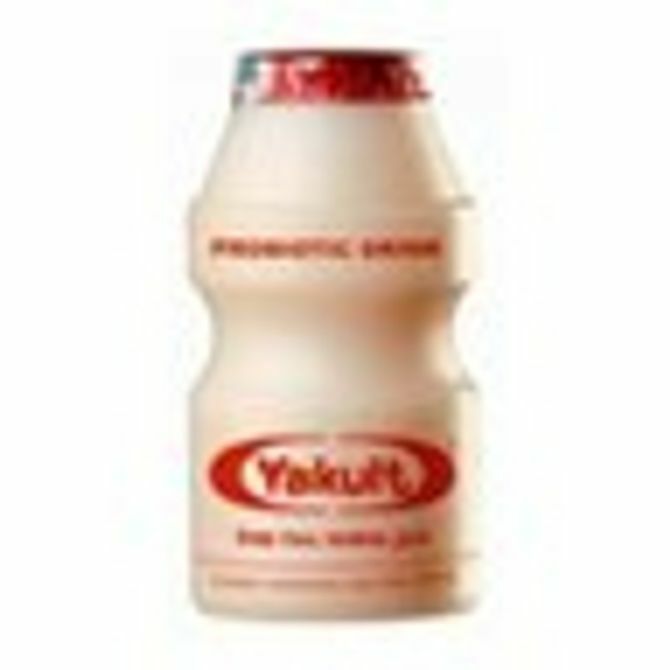 They're actually names that are made up and given to organisms, bifidobacterium (a strain of bacteria) and cultures produced by probiotic companies such as Danone and Yakult. This isn't to say they don't work! They are real and are usually scientifically developed to support digestive health. Companies involved in this sort of research usually trademark their own specific bacterias and cultures to ensure rivals don't steal their work. They could call them 'Emma' or 'Steve' we suppose but we don't think we'd be willing to buy yogurt drinks with added "Steve" even if it could help us feel less bloated.